Remote command shell enables privileged users to open a virtual command line interface on remote computers. Users can then type locally but have the commands executed on the remote system. You can work from multiple shells. 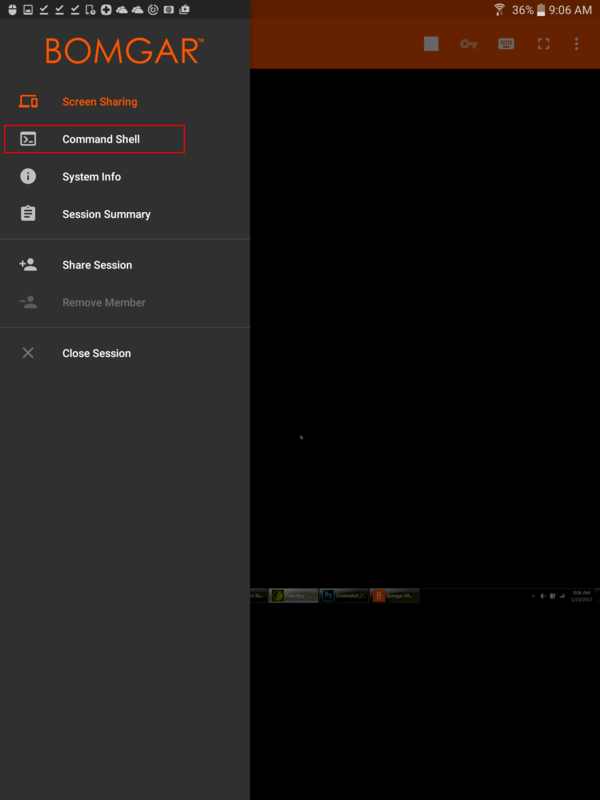 To access command shell, select Command Shell from the menu. Tap the + icon to open a new shell. Your administrator can also enable remote shell recording so that a video of each shell instance can be viewed from the session report. If shell recording is enabled, a transcript of the command shell is also available. Additional keyboard commands and characters are available above the standard keyboard. A set of additional keys can be swiped left and right to reveal more options. If multiple command shells are open, you can swipe the shell screen left and right to switch between the open shells. The name of the current shell is displayed in the lower left corner of the shell screen. Open a new shell to run multiple instances of command prompt. Close the current command shell. Other open command shells continue to run. 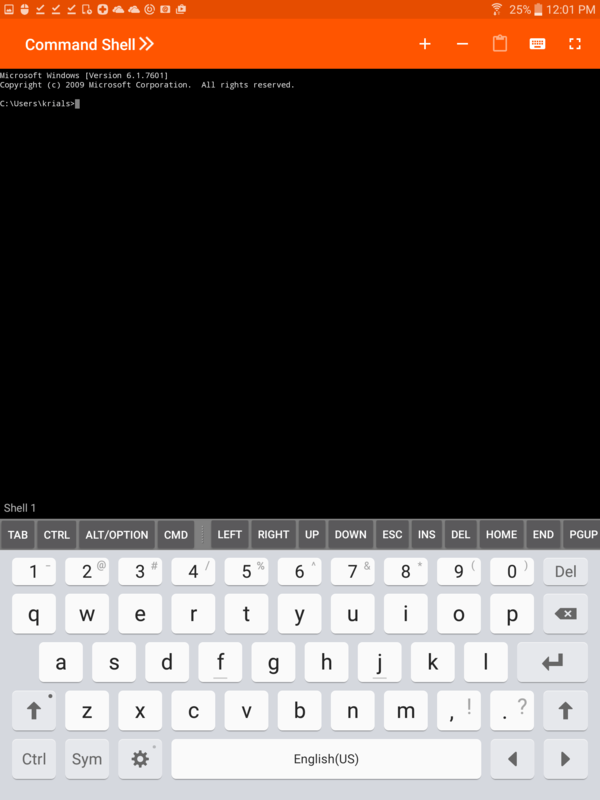 Access the keyboard to type commands in the command shell. Access the command shell menu to perform additional actions, such as viewing other shell sessions and toggling to full screen.